On Monday, long time CBS reporter and five-time Emmy award winning journalist Sharyl Attkisson followed in the footsteps of RT host Liz Wahl by resigning her position at CBS, claiming that the pressure from the pressure that her reporting was overly critical of the Obama administration. Obviously the executives at CBS believe she is biased because the truth is everyone is biased. There is no such thing as neutrality and we all know it. It’s a myth. The real issue they don’t like is that Attkisson is biased towards truth, not propaganda. When the majority of major news outlets bailed on the Fast and Furious scandal, followed by the Benghazi scandal, Attkisson was there, digging in and trying to discover the truth. In those reports, she didn’t just deal with the Obama administration and Democrats though; she packed some punches in at Republicans as well. There is no doubt the Obama administration doesn’t like Sharyl Attkisson or reporters like her. Last year the White House and FBI denied her access to Benghazi details and photos in a Freedom of Information Act request. Her computer was discovered to be compromised following the revelation that the Justice Department had been secretly monitoring reporters and editors at the Associated Press. Unnamed sources suggested that the issue of political bias is CBS’. 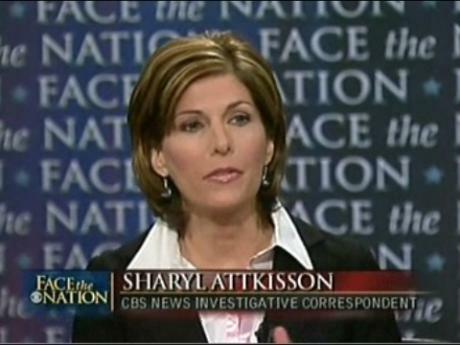 “It’s no secret that Sharyl has been unhappy about CBS’s lack of interest in investigative reporting, especially when it comes to stories about the Obama administration,” a source close to Attkisson said. Again, of course CBS is biased. It’s part of who they are. While many believe that Wahl’s resignation was a pre-planned stunt, in order to push for a job at CNN (oh the irony after her statements), Attkisson’s appears to be genuine. My hunch is that there was quite a bit of pressure, and that pressure has been very heavy recently, considering the report that the Obama administration is planning to use the FCC to put monitors in America’s newsrooms. I for one wish her the best, hoping that she might even send our small outlet an email looking to contribute (and yes, I did tweet her an invitation). I won’t hold my breath.